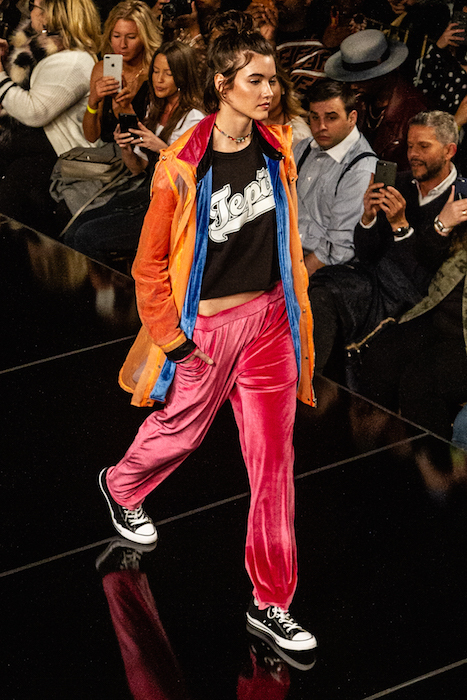 GOOD VIBES come in MULTICOLOR at RICARDO SECO for fall 2019. 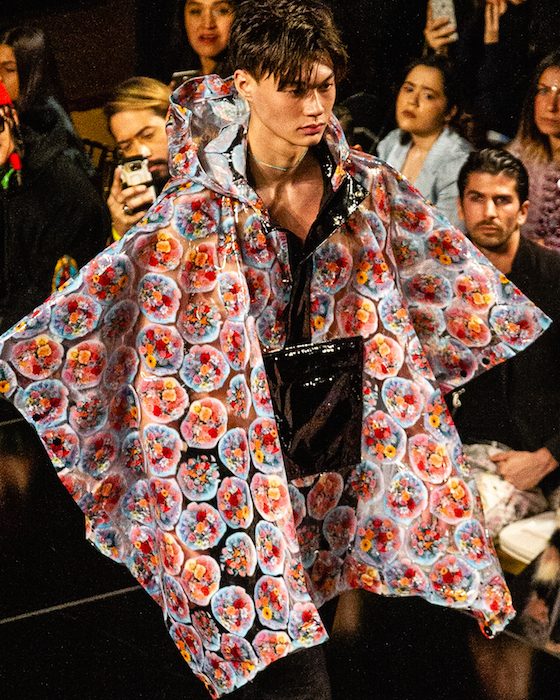 With a knack for injecting us with happy colors, Seco’s catwalk was filled with playful styles designed for men and women. 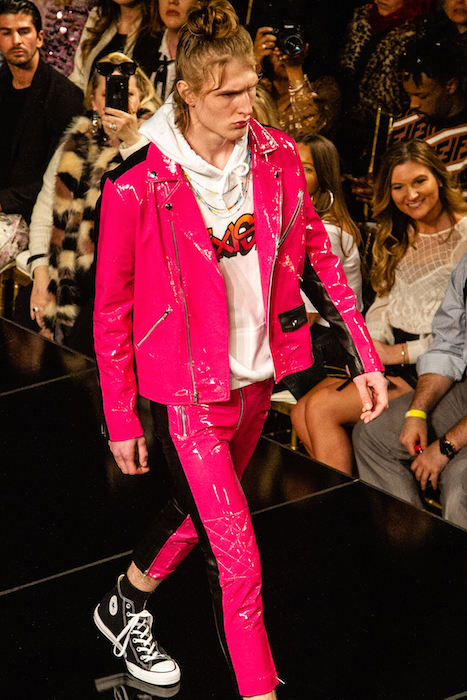 Leather, oversized puffy jackets with neon details, t-shirts with sassy messages, and wearable fun in his signature conversational patterns. 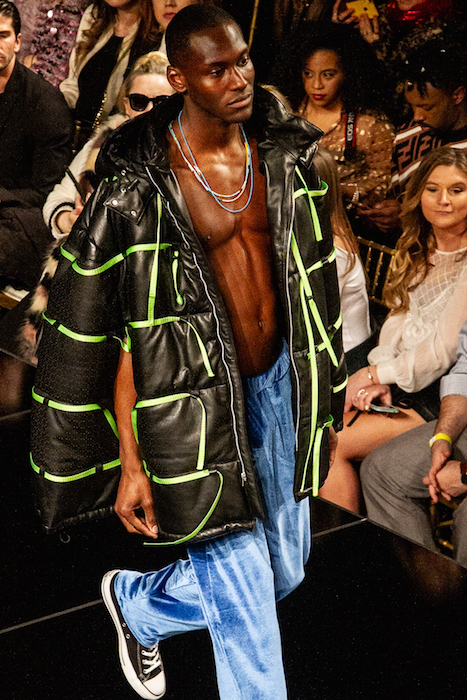 from the editor: So much fun, I sported the oversized BEE and electric blue puffy jackets from Ricardo’s previous collections during NYFW fall 2019 collections. (check out the IG + stories for my outfits). 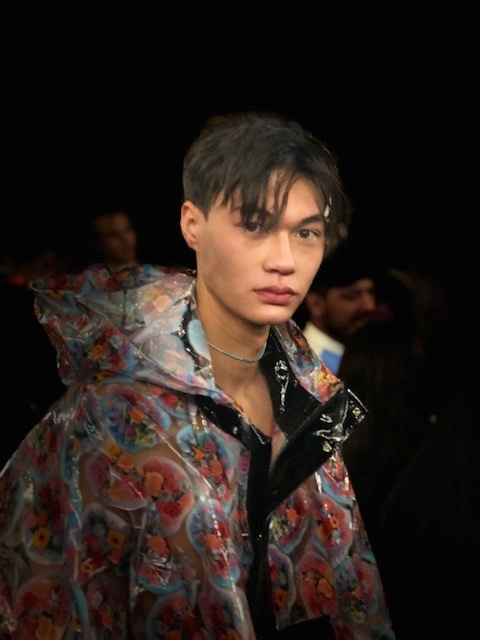 Here’s a glimpse from the catwalk and behind the scenes and from Mexican Designer RICARDO SECO FALL 2019.
and @brigitte_segura // more Ricardo Seco on FDMLOVES blog. smiles for miles… especially with this mister ♥️ @mr.rutherford #behindhescenes #nyfw #ericrutherford (fave #fashionweekhusband ) 🥰🥰🥰🥰🥰🥰🥰🥰🥰🥰 . . . #MENSWEARVIBES #fashionweek #nyfw:m #menswear @newyorkmensday @cfda . . #fdmlovesnyfw #brigitteseguracurator #fall2019 #NYFWM #nyfw #fashionweek #fashionshow #menswear #editorpicks #fall2019NYFW #fall2019fashion #wintertrends #StyleInspo #FashionBlogger #brigitteseguracurator #editorlife #fashioncurator #brigittesegurahair #fashioninfluencer #designtrends #fashionblogger #fashioneditor #StyleInspo #instadiarycl . . My #ootd @secoricardo x @flyingsolonyc x @cestmoi.nyc #stylist @ @_justjoshin #brigittesegurahair @privebylaurentd @lilovesyou using @philipb @thompsonchemists 📸@tiffanyfrancesscott #flyingsolonyc #ricardoseco . .